You may be asked to go on an elimination diet. This should be done under your doctor's care. You will not eat a suspected food. If your symptoms decrease or go away, your doctor may be able to make a diagnosis. If you eat the food and your symptoms come back, the diagnosis is confirmed. 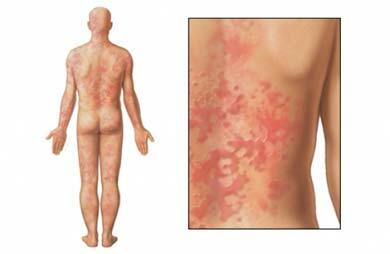 This is most often only done in cases of skin irritation or atopic dermatitis . Immunoglobulin E (IgE)-mediated food allergy. EBSCO DynaMed Plus website. Available at: http://www.dynamed.com/topics/dmp~AN~T114561/Immunoglobulin-E-IgE-mediated-food-allergy . Updated July 19, 2017. Accessed October 2, 2017. 3/17/2015 DynaMed Plus Systematic Literature Surveillance http://www.dynamed.com/topics/dmp~AN~T114561/Immunoglobulin-E-IgE-mediated-food-allergy : Du Toit G, Roberts G, et al. Randomized trial of peanut consumption in infants at risk for peanut allergy. N Engl J Med. Feb 26;372(9):803-813.